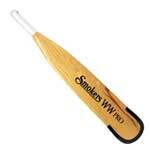 Sawyer MXG carbon braid oars are stronger and stiffer than any other oar shaft on the market. Using a bi-axial carbon braid over fiberglass, the Sawyer MXG is surprisingly light and remarkably stout. Clavey stocks the 1 5/8" i.d. shafts in black, the large 1 3/4" shafts can be special ordered for an extra $25 per shaft(please call). 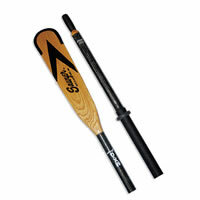 The Sawyer MXG comes stock in black or blue with a black rope wrap, rubber oar and a wood handle with foam grip. 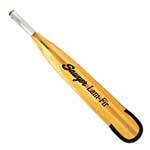 An optional 4.5lb counter-balanced handle is available for an additional $15.00 per shaft. Prices do not include blades. 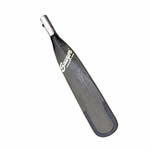 Oar length denotes oar with blade attached. Price is per shaft. Blades sold separately. Choose 1 5/8" diameter when ordering blades.